It's that time of the month again, the start of a new challenge here at Natalie & Amy's. I hope you are all well, those that need a hug or get well wishes...I'm sending them your way! Right on to our winner of last month prize, which was a £15 voucher to spend instore. Huge congrats hun, can you please email me at shell-swinscoe@virginmedia.com with 'N&A winner' in the subject bar & I will arrange for you to receive your voucher & your winner badge! Huge congrats to you all, please email me at shell-swinscoe@virginmedia.com with 'N&A Top3' in the subject bar & I will get your Top 3 badges out to you asap! 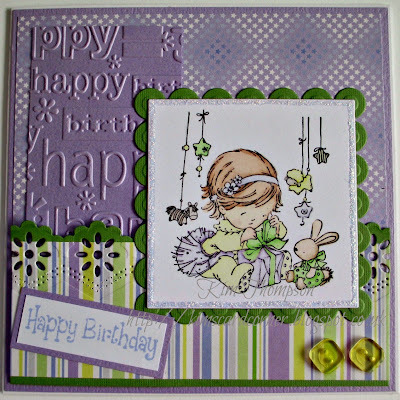 you can use either heat or dry embossing on your creation. Please if its difficult to see your embossing, make a note thats easy for our DT to find explaining where it is. If we can't find it you will not be included in the draw for the prize. So get your craft on & join in with us! 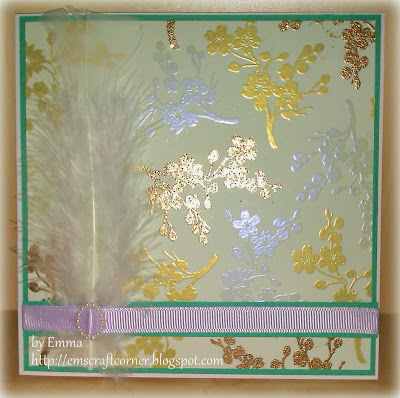 Gold pearl, Violet pearl and metallic copper Wow embossing powders. I hope our DT have inspired you to join in with us. You have until Tuesday 29th April to get your entries in using the blue froggie below. Yay! Thank you so much :) I have just sent you an email. Gorgeous embossing creations done by your design team! Thank you for the fun challenge. Happy Easter. Very sweet DT cards. Thank you for the challenge. Congrats to all the winners!!!! Beautiful DT Creations!!!! Thanks for another fun challenge!